As we quickly approach the summer months, it is time to start thinking about a new pool for to keep your family cool. Millennium Custom Pools is a family-owned custom pool and outdoor living building company. Whether looking to Renovate your pool or build the custom pool of your dreams. Millennium Custom Pools can help you design and build the custom pool of your dreams. Contact us today to learn more about our services in the Friendswood, TX area. Explore our site to learn more about our available services. Call or contact us for a free consultation at your Friendswood home to get started building the pool of your dreams! 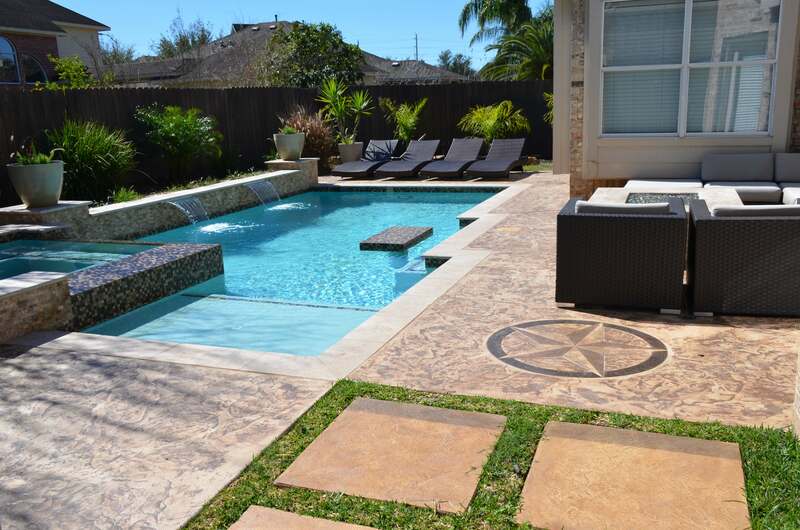 Complete your Friendswood custom pool with a complete outdoor living space. Entertain your guests on a custom deck or gazebo while you protect your family from the Texas heat. Contact us today with your vision and we will build a custom patio your neighbors will be envious of. Picture yourself grilling out by the pool this summer with a new outdoor kitchen! Transform your backyard into a year-round outdoor entertaining space. Summer kitchens, or outdoor kitchens, are the perfect addition to any home. Our team will build a custom outdoor kitchen that is perfect for your yard and your space.